Our family's road trips are much more enjoyable for my wife and I now that we have a larger van. We now drive a very long, very old (1997), very cool (depends on who you ask) Dodge van that you would typically see a telecommunications repairman drive, but our model has plush, green carpet. The beauty of this van is that there is plenty of space between everyone. This has significantly reduced the bickering and pinching. On our most recent road trip to Dayton, Ohio, about a three and half hour drive, I took advantage of the peace and quiet (helped by an on-board movie) to read a stack of picture books illustrated by Jen Corace. 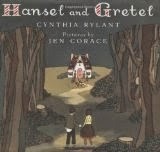 I started with Hansel and Gretel by Cynthia Rylant. I loved it. I loved Cynthia Rylant's storytelling and I loved the illustrations by Jen Corace (view them here). Hansel and Gretel is one of my favorite stories from childhood and this book brought back the magic. Once I finished, I couldn't wait to read the next book, The Steadfast Tin Soldier retold by Cynthia Rylant (view illustrations here). It was another beautifully illustrated book with a story I had not read before. I went through almost the whole stack of books and realized that I was so wrapped up in the stories and pictures that I didn't have one thought for a birthday celebration activity to do with my children. I went back through all the books however this time I just looked at the illustrations. After each book, I would stare out the window of the van hoping for an idea to pop into my head. I went through the whole stack until I came to the last book, This Plus That: Life's Little Equations by Amy Krouse Rosenthal. The book is like math class meets poetry with our favorite equation being "wishes + frosting = birthday." One of the illustrations in the book by Jen Corace caught my attention. It is of two girls communicating with tin cans connected by a string for the life equation "laughter + keeping secrets + sharing = best friend." Jen Corace is the illustrator of thirteen books for children, including all the books I mentioned above and the popular Little series by Amy Krouse Rosenthal; Little Pea, Little Oink, and Little Hoot. In an interview with Colouring Outside the Lines, Jen Corace said, "I grew up always drawing, always painting. I spent a lot of time in my room, by myself, door closed with pads and pads of paper." 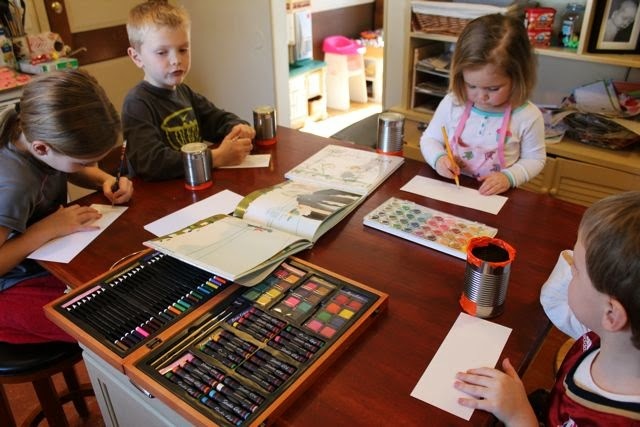 Jen's mother supported and nurtured her daughter's artistic talent and enrolled her in many art classes. "The encouragement that I received from my mom in my early development definitely put me on the road to where I am now." In 1996, she graduated with a fine arts degree in illustration from Rhode Island School of Design. By 1999, her work was featured in solo gallery shows all over the country and Japan (click here to an example of one of her gallery shows). 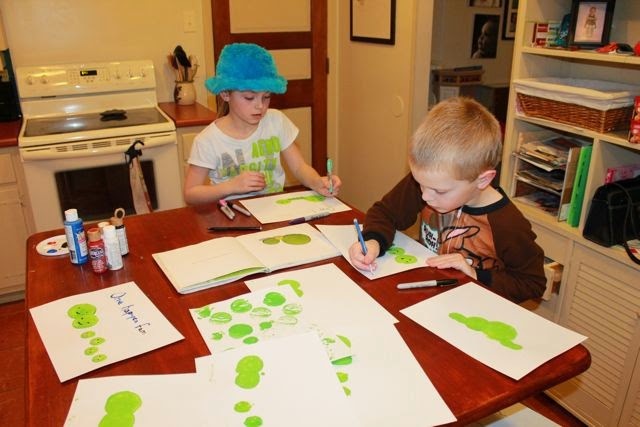 Then, she decided to send out over 200 postcards to children's book publishers. She heard back from five; "three said 'no' and two said 'we will hold your work on file.'" (Mazza Museum Fall Conference 2014). One of those publishers that held her work on file was Chronicle Books. Two years after the initial postcard, they contacted Jen Corace to illustrate the book Little Pea because they liked a small illustration on her website. It was great to receive the job offer, but Corace hadn't worked in the style they wanted for many years. It was difficult for her to unlearn the style she had been doing for her gallery artwork, but her hard work paid off. Little Pea was a huge hit! 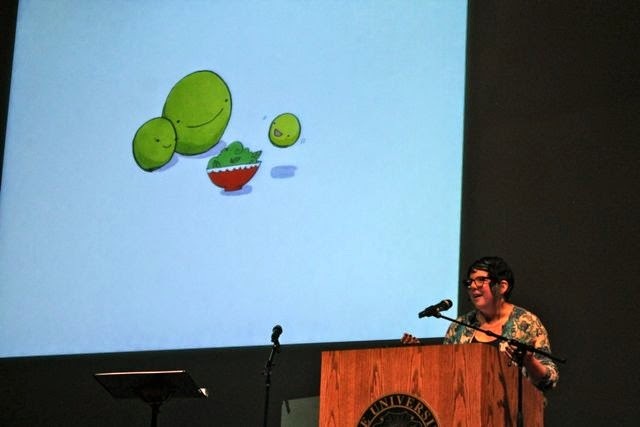 In her Mazza Museum Fall Conference Keynote presentation, Jen Corace said that she is trying to merge her two distinct styles. On her website she said, "With Telephone and I Hatched! my hope was to begin to bring these two worlds of drawing style closer. It's my newest direction to focus on what my brain calls 'shapey and patterny.'" Additionally, Jen said she has many ideas and would love to write books of her own in the future. Until then she will continue with her illustrating, her solo gallery shows, and she is working on new card game with her brother. The first card game they worked on together was Lords and Ladies for ages 10+. 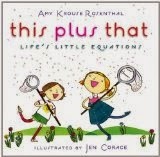 Our birthday celebration activity for Jen Corace was inspired by Telephone by Mac Barnett and This Plus That: Life's Little Equations by Amy Krouse Rosenthal. Both authors we have celebrated on our blog in the past. 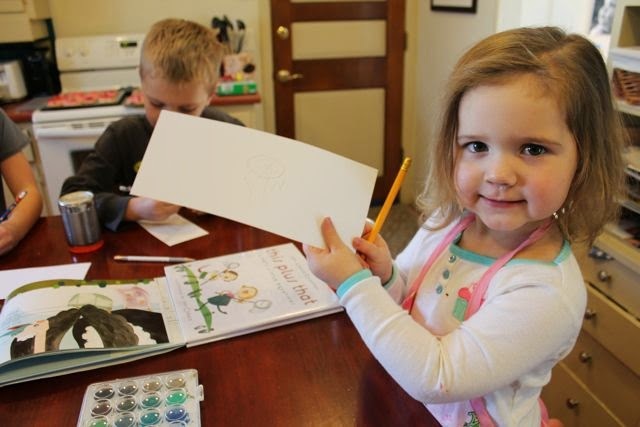 Check out an activity for Little Oink, illustrated by Jen Corace that was included in our Amy Krouse Rosenthal Reading Experience. 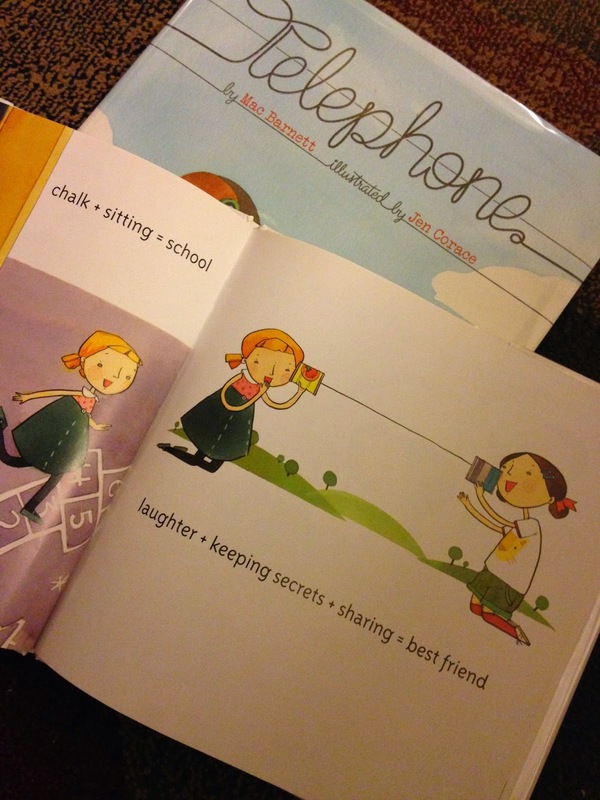 Telephone had my children giggling the whole way through! The book starts with Peter's mom, a pigeon, saying, "Tell Peter: Fly home for dinner." The message is passed and misinterpreted by one bird to the next as they sit on a telephone wire. You will be surprised at the types of birds you meet on this wire; a toucan, a pelican, an ostrich, and a TURKEY! This game of telephone culminates with a spazzy bird relaying a crazy-mixed-up-interpretation of the first message (and all the other messages) to a wise old owl who-who-who knows exactly what to tell Peter. 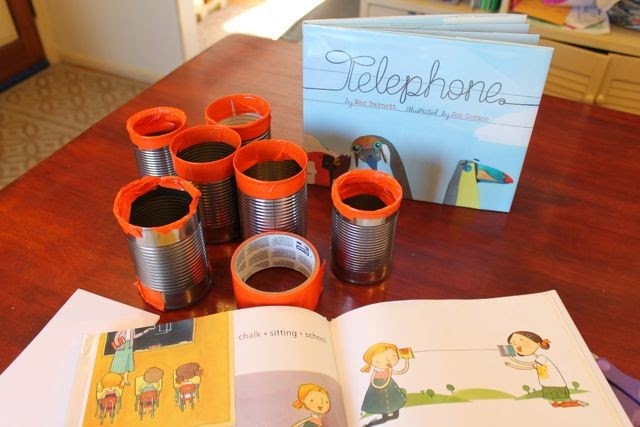 It was clear to me after reading Telephone and This Plus That that I had to make telephones with my children! I saved enough cans to make three telephones. We duct-taped the edges of each can because I was worried that my children could possibly cut their hands. 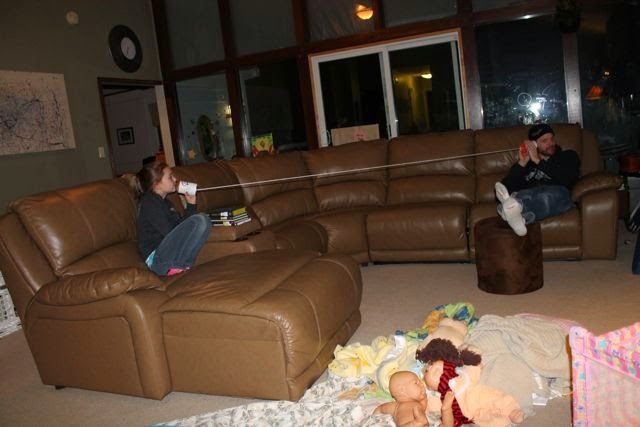 I am so glad I did this and highly recommend doing this if you plan to replicate this activity in your home. I read Telephone with my children and then gave each of them a piece of heavy white paper that I had pre-measured and cut to be the perfect size to make labels for the cans. 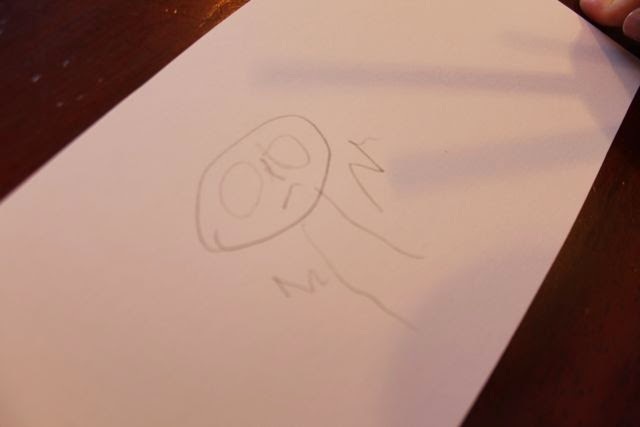 I asked them to draw a bird of any shape or size on their paper. My youngest daughter was really happy with her bird. 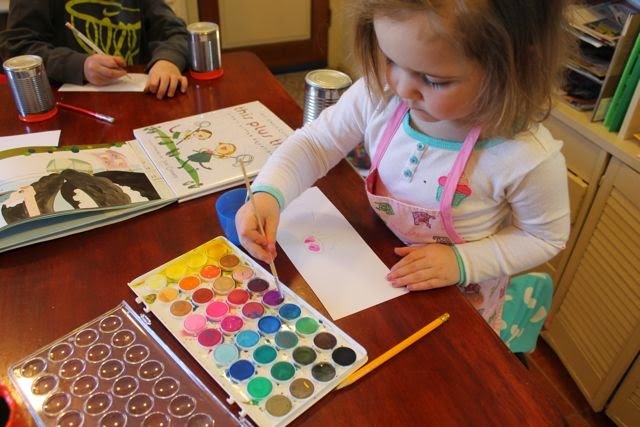 Then, she used watercolors to add a little color. 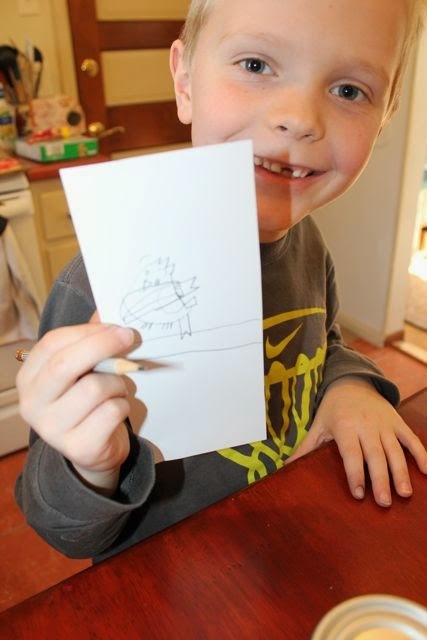 My oldest son was inspired by the rock-star bird in Telephone. 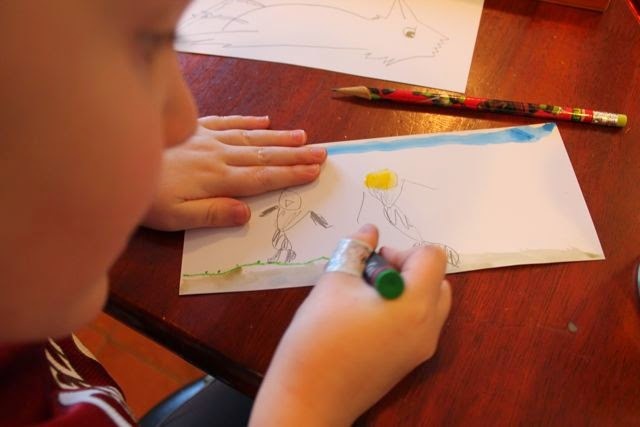 My youngest son drew a scene with two feathered friends. 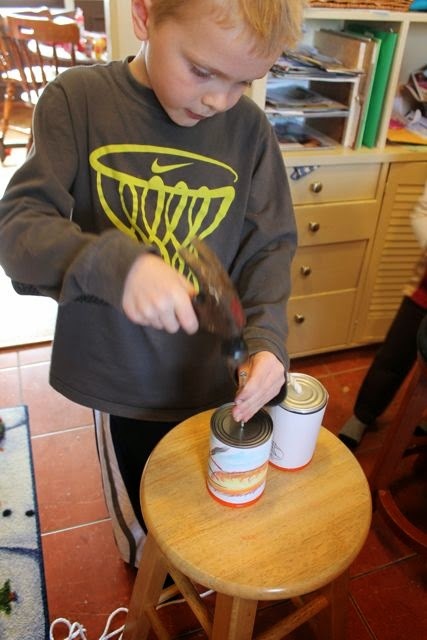 We taped our bird-labels on our cans then my son used a hammer and nail to make a hole through the bottom of each can. 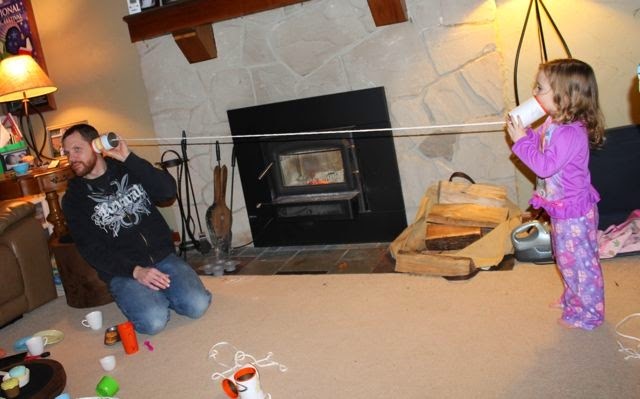 I threaded a string through each can and then tied a big knot. I would like to think that I channeled my inner-Jen-Corace when I saw the illustration of the girls with the cans and the string telephone in This Plus That. All that sitting in the van, staring at the illustrations and staring out the window helped me think of this activity to do with my children. After Jen Corace gets a manuscript and reads it through to make notes, she says, "Then it's time for the most important phase in anything I do -- staring, and thinking. Sometimes I stare and think while sitting. Most of the time I lie on the floor to do my staring and thinking." (Seven Impossible Things). 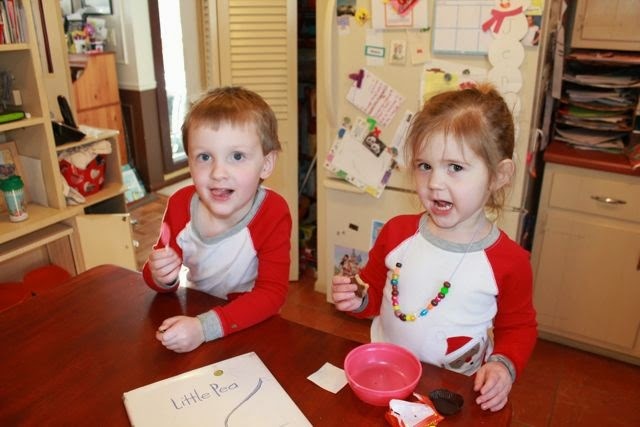 She also talked more about sitting, staring, and thinking with Craftland, "It's the key ingredient for anything I do." 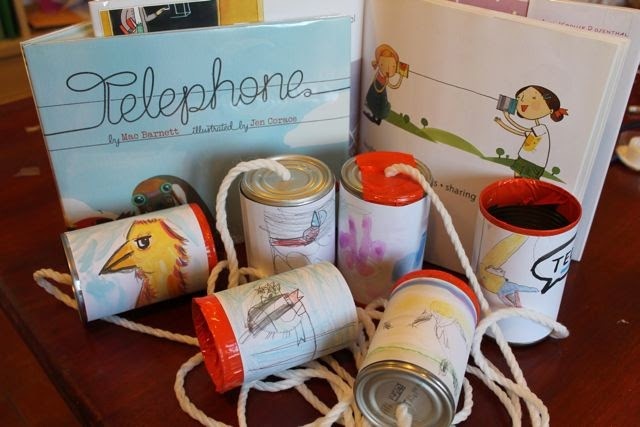 To be honest, I remember trying homemade telephones as a kid and I don't think I was ever able to hearing the person's voice as I listened in the can. I tried with my little ones without much success. However, my oldest daughter and I were successful. 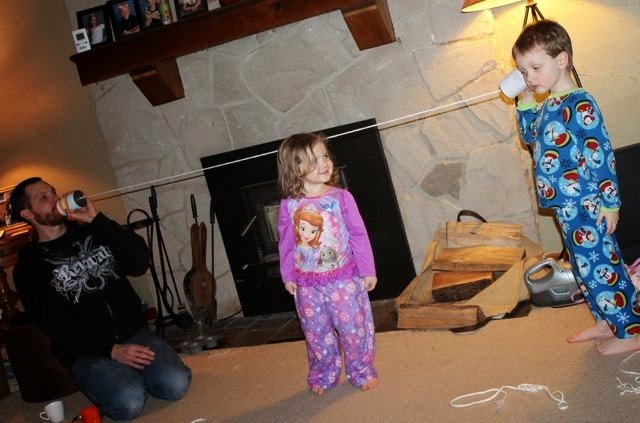 We learned the telephones worked best when we kept the string tight and talked in a room without her noisy little brothers and sister running around. We had a lot of fun with this. We said weird and random sentences to each other in the telephones and tried to repeat them. It was super fun and made us giggle! All weekend she was asking, "Hey, Dad! Do you want to play telephone?" 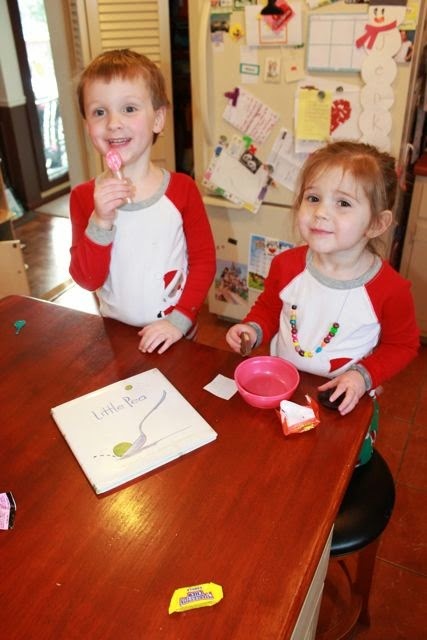 I thought this was going to be the end of our celebration for Jen Corace, but then I had another idea when I read Little Pea with my youngest two children. Little Pea is about a little pea that likes a lot of things, but does not like CANDY! Unfortunately, when you are a pea, candy is what's for dinner....every night! I would tell you more about the book, but it would really ruin it for you. Instead, I will show you what we did to bring the book to life. 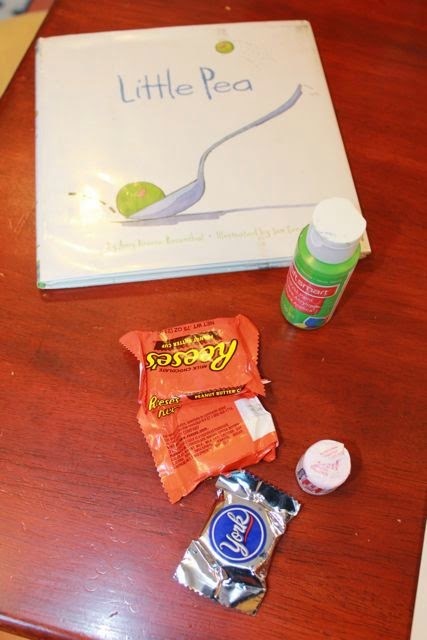 A little green paint and a Reese's peanut butter cup made many peas on my daughter's paper. I couldn't let them paint with candy without having a piece to eat. They struggled to make yucky faces like the ones Little Pea made when he ate candy. 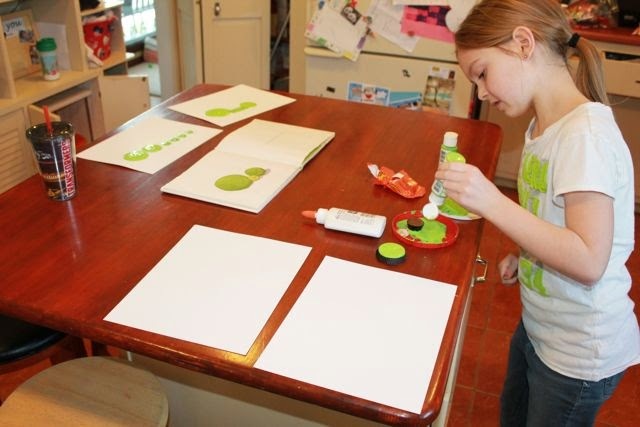 My oldest daughter, once she got over the York peppermint patty, asked if she could try stamping with candy. 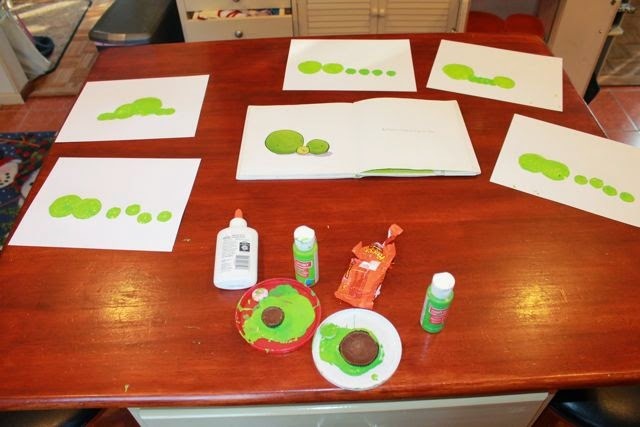 She used different sized circular candy to make six peas that represented her family. 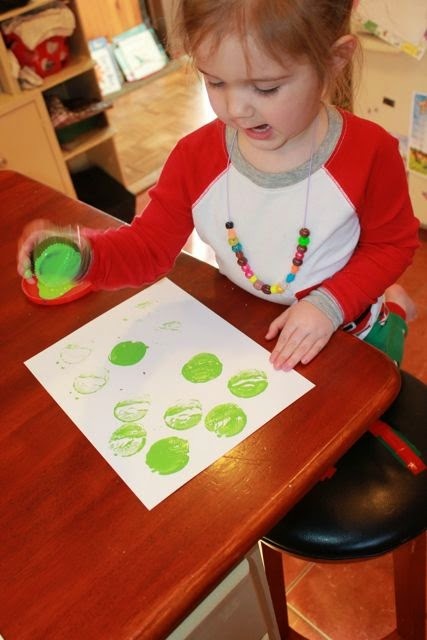 She noticed that Mama and Papa pea were a different shade of green than Little Pea in the book and tried to incorporate this observation into her stamping. We let the peas dry for a couple of hours. 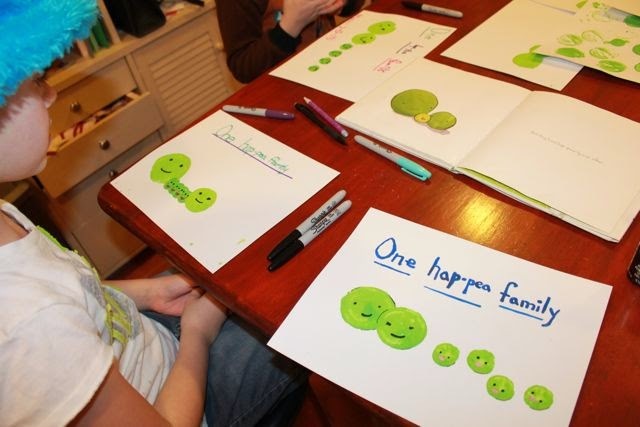 Then, my children used paint and Sharpies to add faces to the peas. 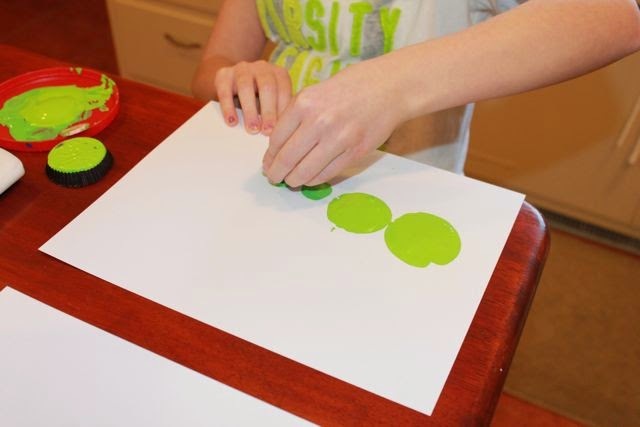 They also wrote the names of each member of our family under each pea. All these good books by Jen Corace made us one hap-pea family this week! Happy Birthday, Jen! Thank you for sharing your birthday with me at the Mazza Museum. We hope you have a wonderful day!